The power and torque that modified 5.9L and 6.7L Cummins engines deliver can crack or even shatter the stock flex plate. 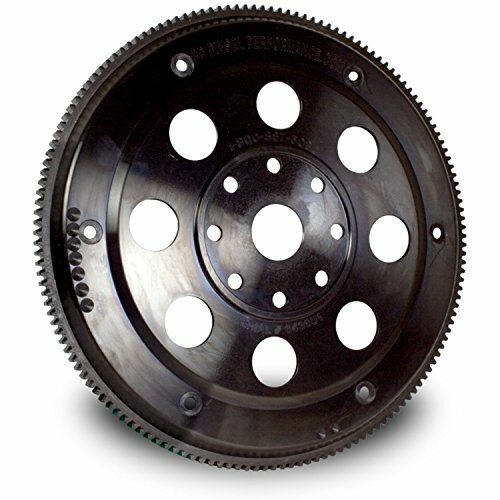 BDs FleX-Plate is designed specifically for modified applications, and can reliably handle up to 1,500 lb.-ft. of torque. Twice as thick as the stock unit and made from forged steel, the BD FleX-Plate is precision-balanced and SFI-certified for use in race sanctioning bodies. Plus, a new black oxide coating resists corrosion, and prevents hydrogen embrittlement that can cause cracking. The BD FleX-Plate is a direct, bolt-in replacement for the stock converter and is also compatible with most aftermarket torque converters. Great for stock, towing or racing applications!BD Flexplate now 29.3SFI Approval We are proud to announce that our BD Flexplate has now passed the newly created SFI 29.3 version testing. It is a much more stringent test for safety than the old 29.1. The 29.3 test is specific to the high horsepower Diesel motors only. This again points to the BD Flexplate as being the best in the industry.